for $604,800 with 5 bedrooms and 3 full baths. 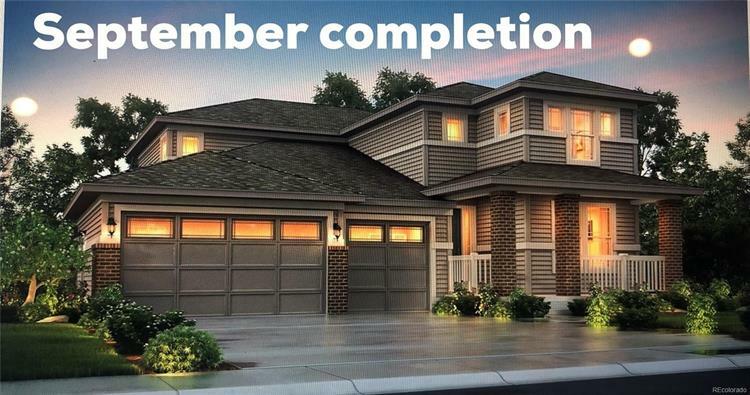 This 4,311 square foot home was built in 2019 on a lot size of 0.18 Acre(s).
! 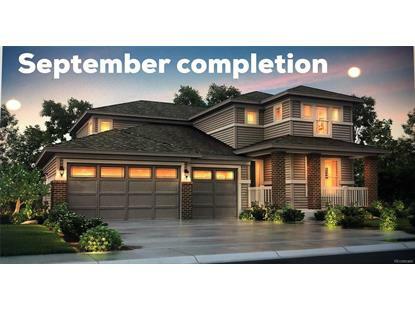 !SEPTEMBER COMPLETION!! 5 Bed 3 Bath 3 car garage. The Stafford is a brand new home expertly built by Lennar that features too many upgrades to list. On the main floor you'll find a private bedroom/full bath suite, an oversized great room with feature fireplace, and the most spectacular eat-in chef's kitchen in town with Cotton White Granite counters, unique T-shaped island with tons of space for seating, upgraded Dusk cabinetry, custom backsplash, full stainless appliance package, stunning hardwood floors, tons of counter and cabinet space for prep and storage, and a great, real pantry. Upstairs your new master suite with highly upgraded luxury en-suite bath, 3 other spacious secondary bedrooms, and a large loft space that's perfect for a 2nd living area, theater, game room, playroom, office... There are so many options. Relax and enjoy Colorado's famous outdoors on your extended covered deck.